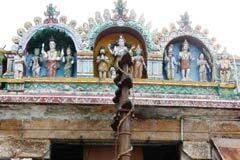 The place is one where Lord Aada Vallaan – The King of Dancers performed His play. 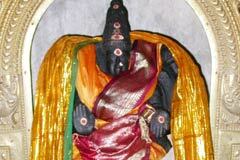 The place Anadha Thandava Puram derives its name after the Lord. 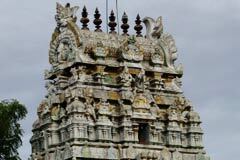 Lord Shiva grants darshan to devotees as Lord Nataraja. The temple has the reputation of two Ambicas, Bruhannayaki and Kalyana Sundari. 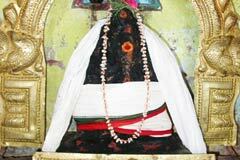 She is praised as Kalyana Sundari as She granted darshan to Sage Bharadwaja in Her wedding posture. There is also a tank in the temple where Lord Shiva bathed as a Shiva devotee Himself. 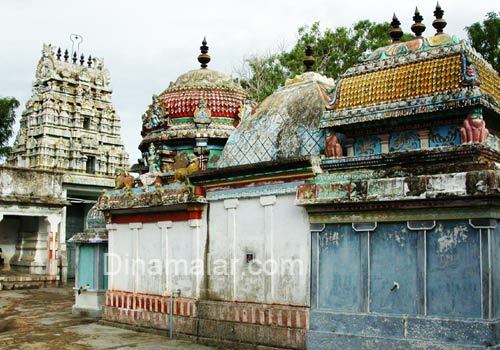 Those bathing here and worship Lord Panchavateeswarar and celebrated devotee Manakkanjara Nayanar will enjoy mental peace and attain salvation. 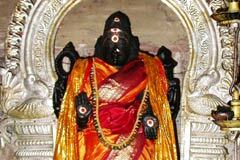 Staunch Shiva devotee Mankkanjara Nayanar was also the commander of the forces of his king. He saw more happiness in taking care of Shiva devotees. Yet, he had his own sorrow. He had no child. He and his wife were praying to Lord seeking child boon. The time too came to make him happier when his wife delivered a girl baby on an auspicious day. They named the child Punniya Vardhini. She grew with all charm and long shining hair and attained the marriageable age. 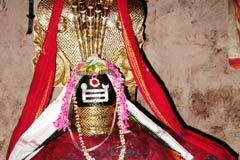 Mankkanjarar chose Kalikammar who too was a staunch Shiva devotee as the bridegroom for his daughter. It was an alliance between two devotee families. People of the place were happy of this relationship. Lord Shiva cannot afford to be absent on the occasion. He arrived a day earlier in His saffron belonging to Ma Viradhiar sect of the devotees wearing the sacred thread made of hair. On seeing bride Punniavardhini and her long hair, He said it would be very useful for his sacred thread. Without any hesitation, Manakkanjarar simply cut his daughter’s hair, whose marriage was to take place the next day, and offered to the Shiva devotee. While the public were blaming both the devotee and the father of the bride, Lord Shiva appeared, granted Darshan to the couple holding the hair in a hand. Meantime, the long hair was also adoring the head of the bride. Bridegrrom Kalikkamar also came running to the place not for the loss of the hair of his would be wife, but for the darshan of Lord, he had miserably missed. He said that he would have offered the hair himself to the Lord after the marriage when she would be his wife legally. He shed tears saying he had lost the opportunity. He became Kalikkama Nayanar later. 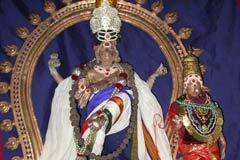 Both father-in-law and son-in-law are among the 63 Nayanmars worshipped with equal respect as Lord Himself. Miracle Based: Lord appears as Jata Nathar holding the hair cut from a bride’s head. Anandha Thandavapuram is 4 km far from Mayiladuthurai. Raphaels: +91-4364-227 292 and 292.